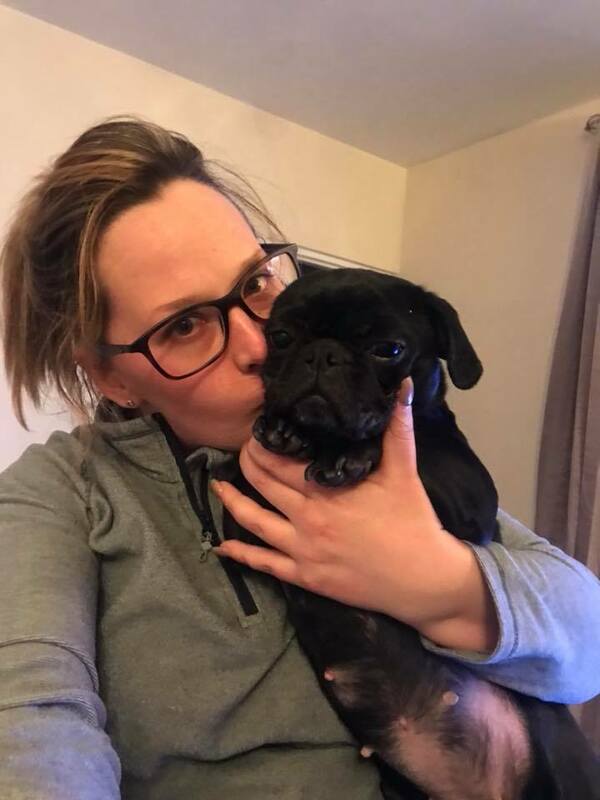 Sorry for the late report here, work is holding my attention at the moment but it’s my pleasure to report that yesterday, Wednesday 28th Fberuary 2018 Dotty the pug, who went missing following a burglary at her owner’s home, is now back home safe and well. 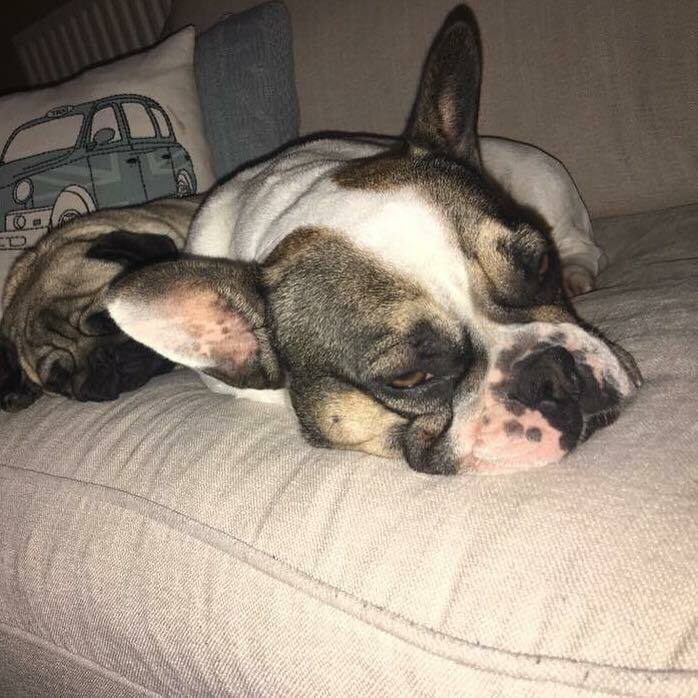 Dotty the pug is now safe and well back home! 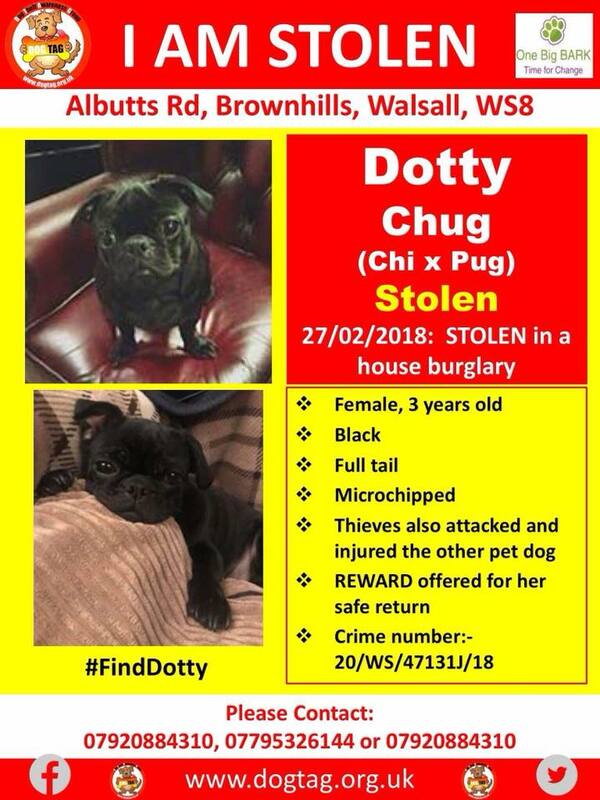 This is an important appeal to find the cute wee dog above, Dotty, who’s been stolen in a burglary that happened yesterday afternoon (Tuesday, 27th February 2018) in Brownhills West. 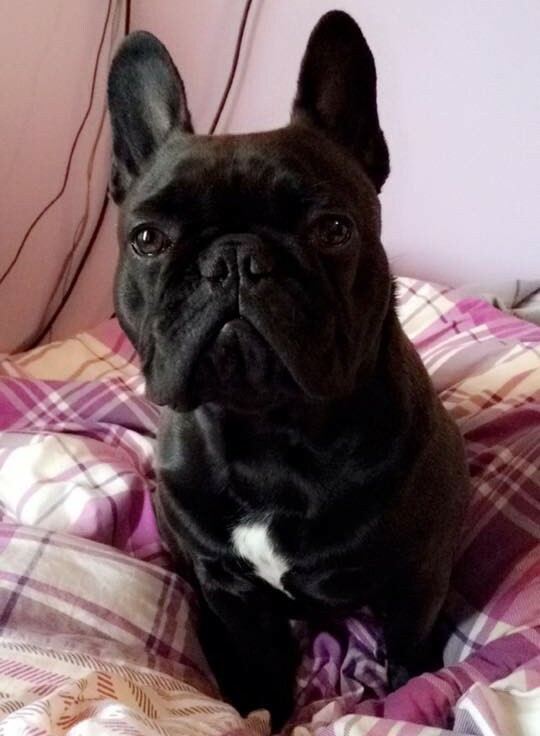 Urgent – Millie the dog stolen from Brownhills West – can you help? 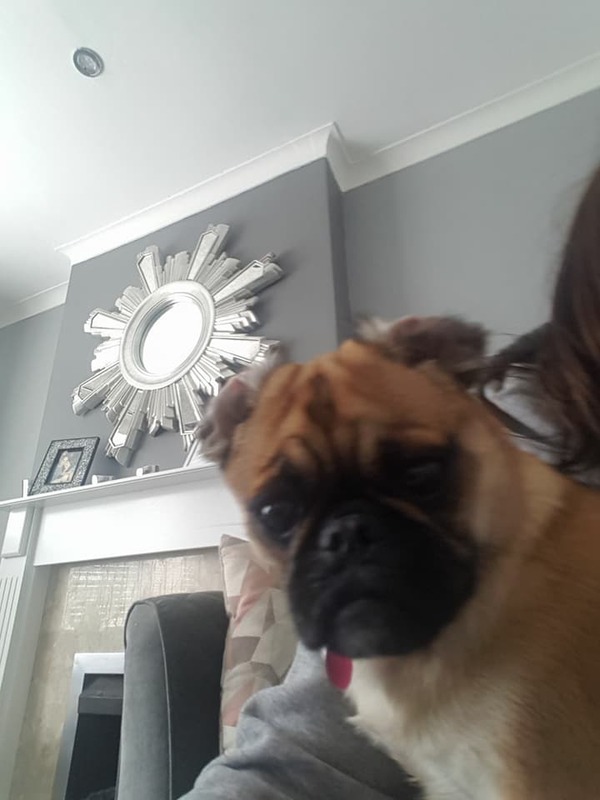 I note from local social media that a pug cross dog, Millie was stolen this evening, Monday 22nd May 2017 from Hednesford Road, Brownhills – I would ask that anyone seeing the dog, or who knows who may have her, contact the local police, K9 Search or her distraught owners. 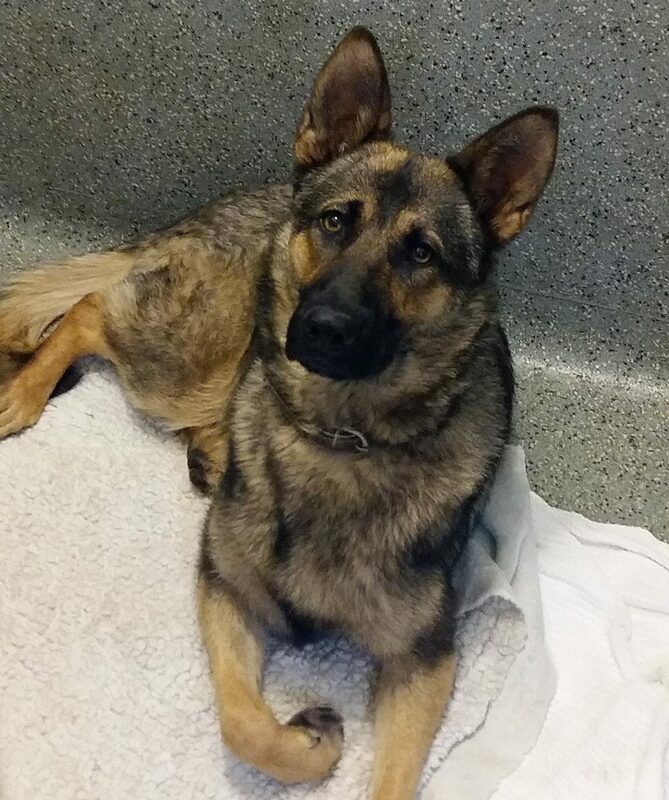 German Shepherd now reunited with owners! 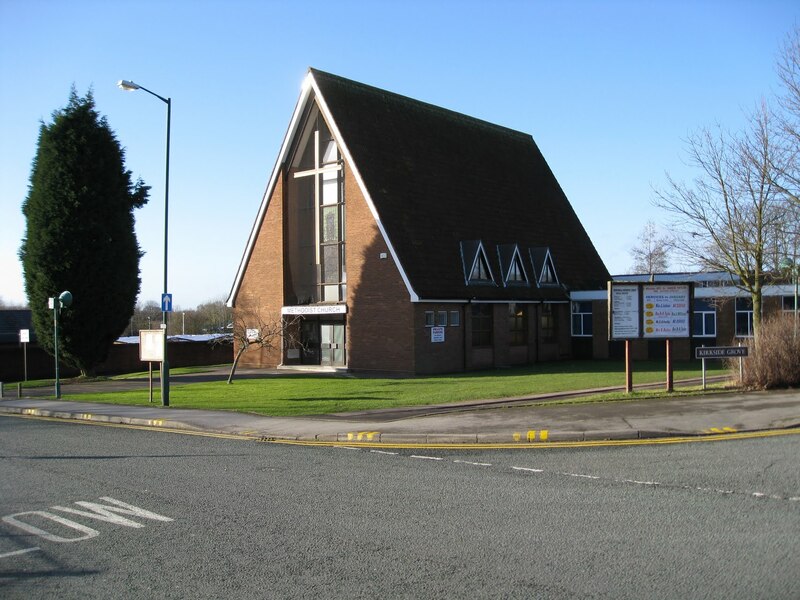 An appeal reaches me via Facebook from Pool House Veterinary Hospital – rather delightful female German Shepherd was found in Pelsall Road, Brownhills near the Swan pub last night (Sunday 30th April 2017) and it would be nice if we could reunite this lovely dog with her owners. 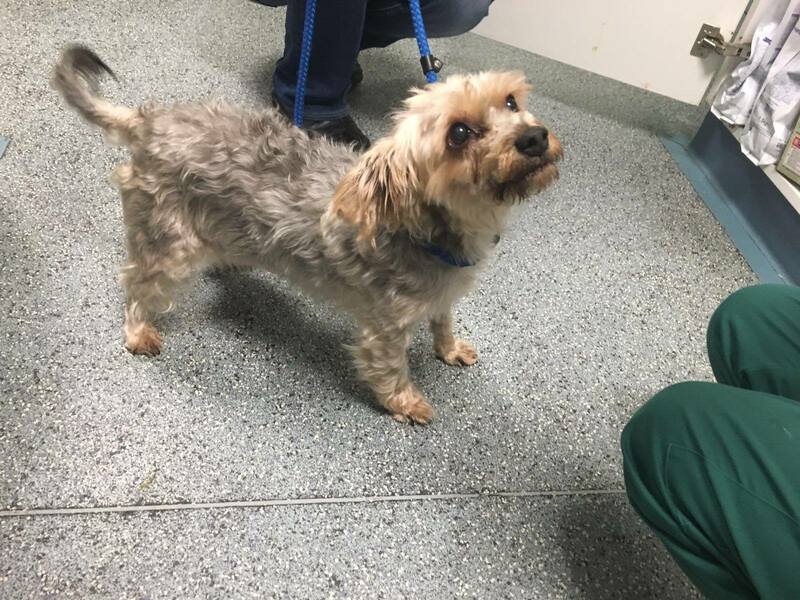 Yorkshire Terrier found in Shire Oak Park – let’s get her home! 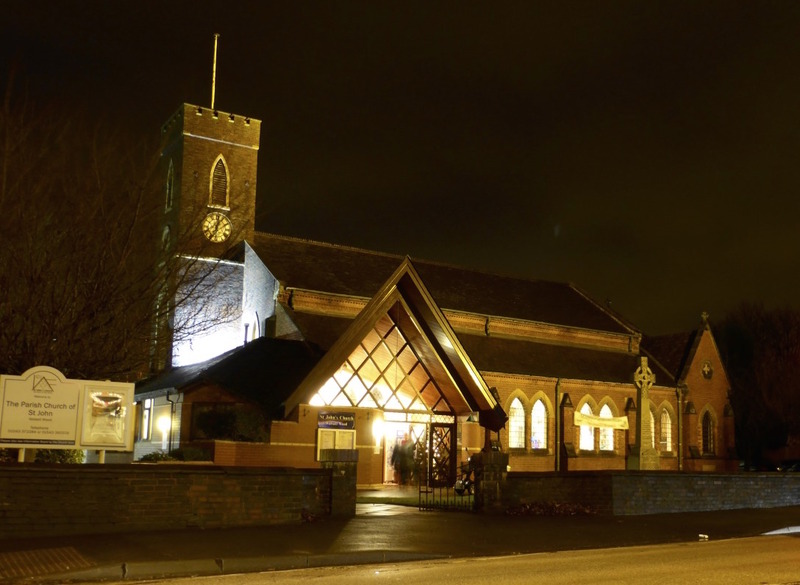 An appeal reaches me via Facebook from Pool House Veterinary Hospital – rather delightful Yorkshire Terrier was found in Shire Oak Park, Brownhills/Walsall Wood and it would be nice if we could reunite her with his owners. 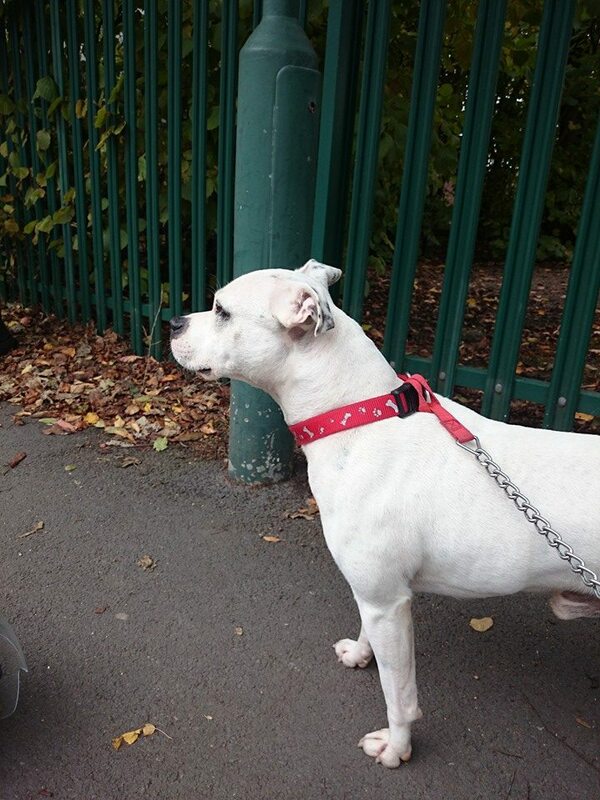 White dog found in Brownhills – let’s get her home! 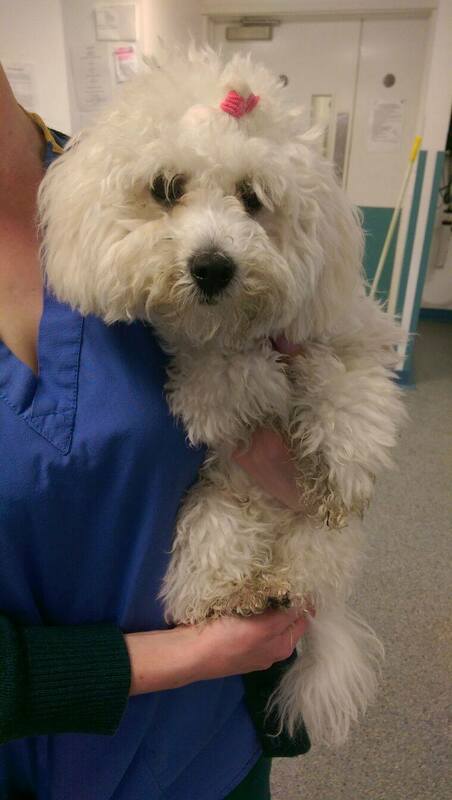 An appeal reaches me via Facebook from Pool House Veterinary Hospital – a rather gorgeous white dog was found in Brownhills yesterday (Sunday 29th May 2016) and it would be nice if we could reunite her with his owners, who clearly love her very much. 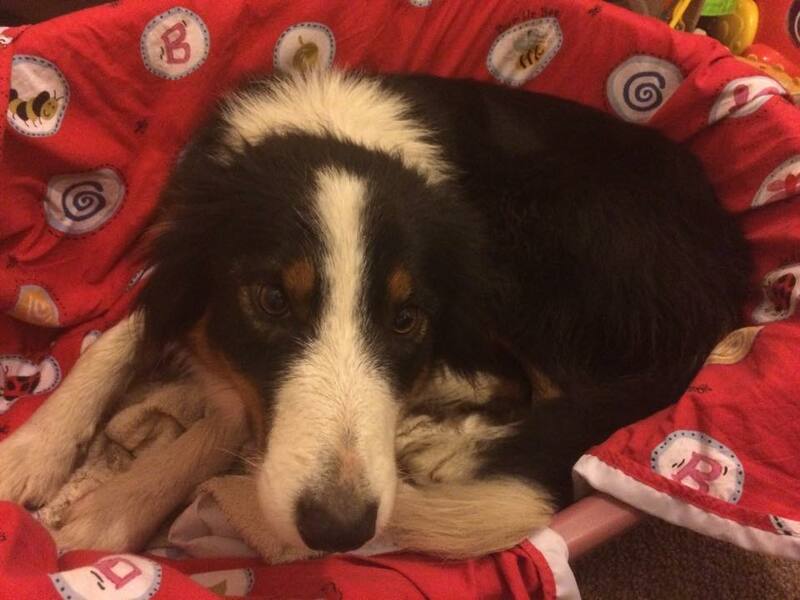 Leroy Brown the escaped Collie back home safe and well! 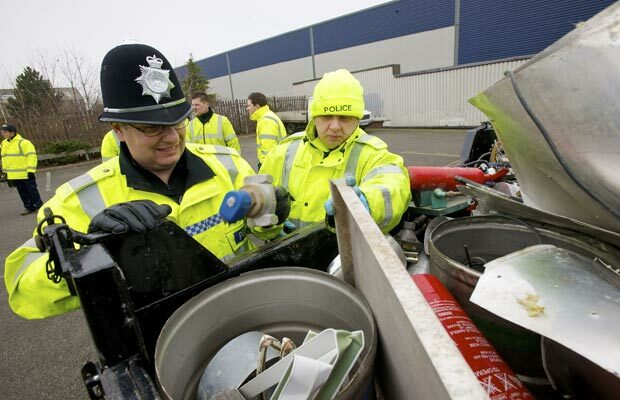 Hi folks – bit late to the party on this as I’ve been working but the good news is that Leroy Brown is back safe and well! 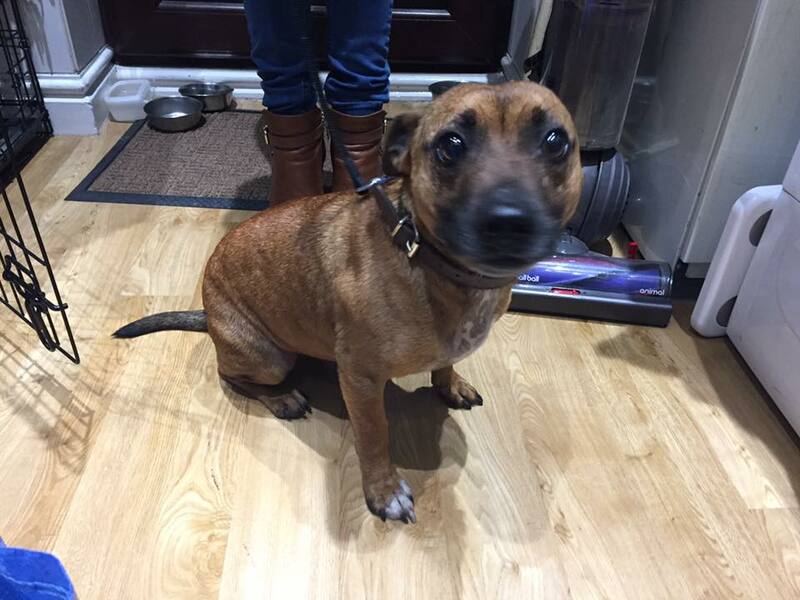 Brownhills lost dog – can you help find Leroy Brown? 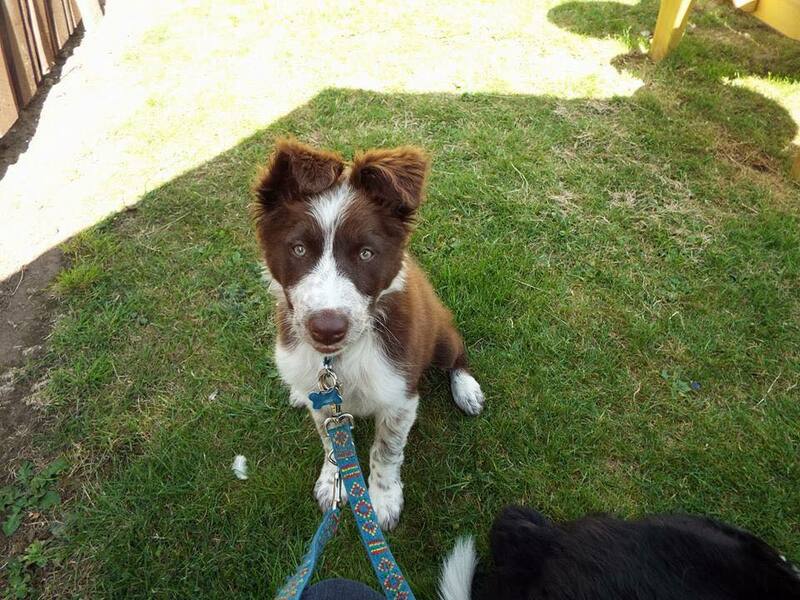 Please share as widely as possible – this is urgent, a friend of the blog has lost their brown and white border collie puppy Leroy Brown, who’s gone missing from his home opposite the Chase Inn on the A5 Watling Street in Brownhills. 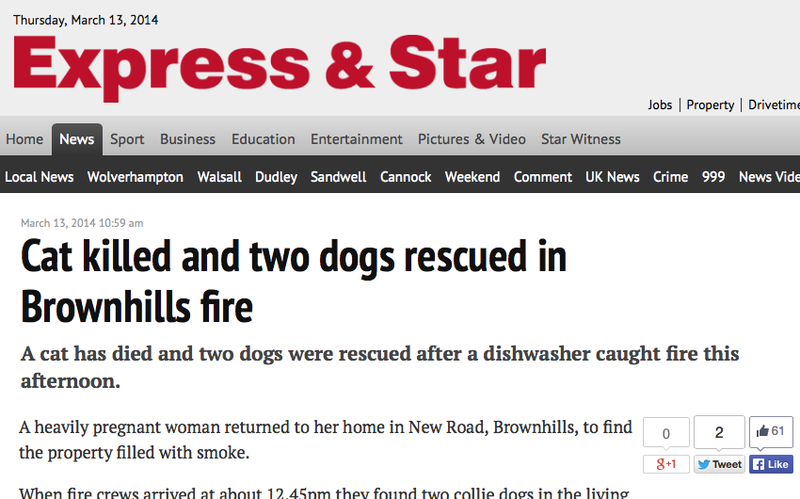 I’ve had a very credible message from a Brownhills resident who very nearly had their pet dog stolen oven the weekend, and warns readers to beware of tatters and door-to-door handymen. 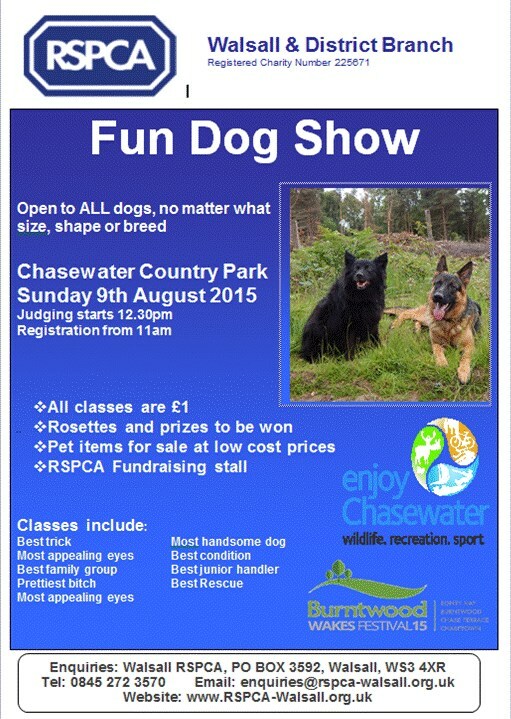 Fun Dog Show – on at Chasewater right now! 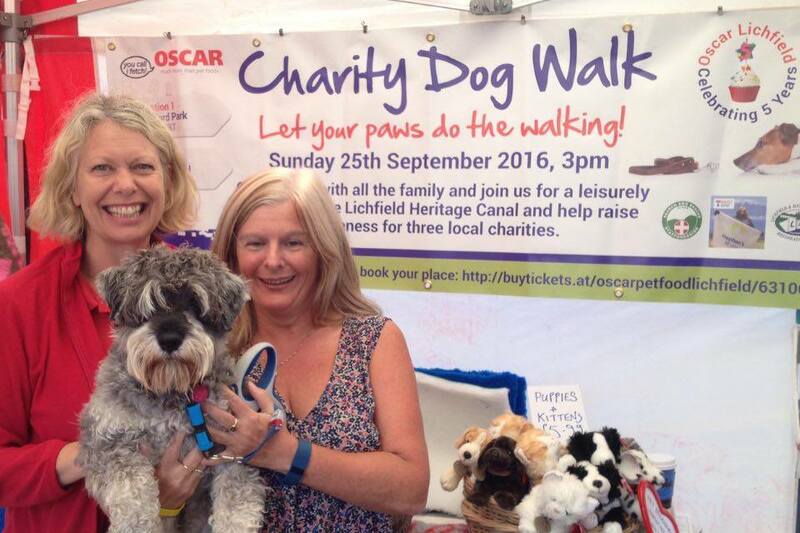 Having trouble keeping up this weekend, I really am – but if you’re quick, there’s a fun dog show in aid of the RSPCA at Chasewater and it’s on now (Sunday, 9th August 2015), so get down there! 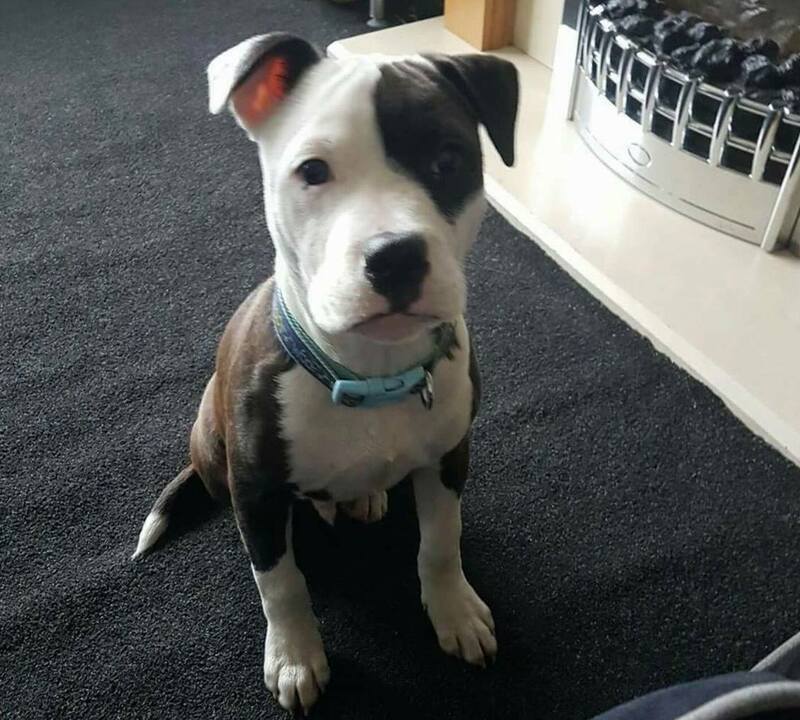 Urgent – dog stolen from Brownhills – can you help? 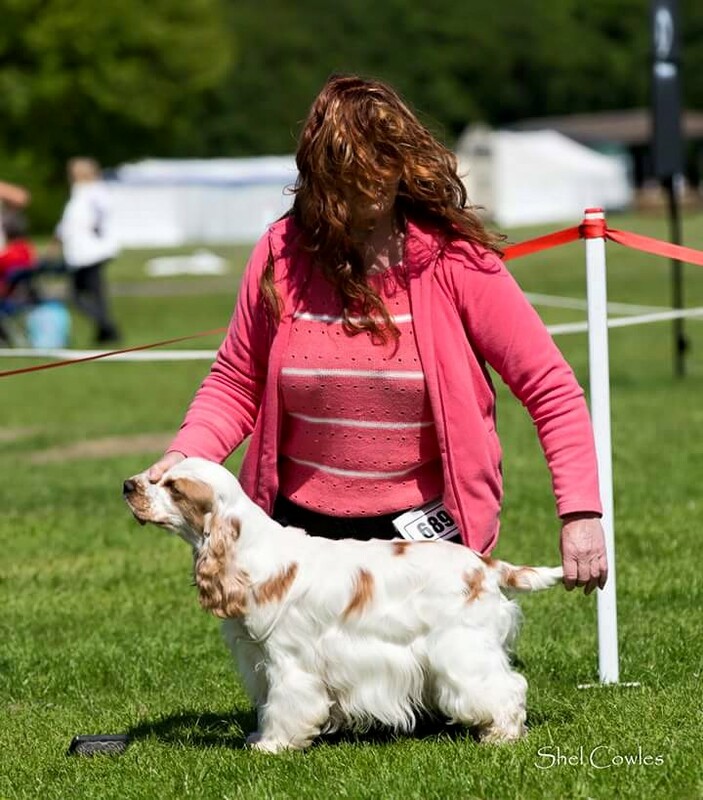 I note from local social media that a dog was stolen in the early hours of Sunday 14th June 2015 in a break in at kennels in Brownhills – Ellie is a two year old female cocker spaniel. 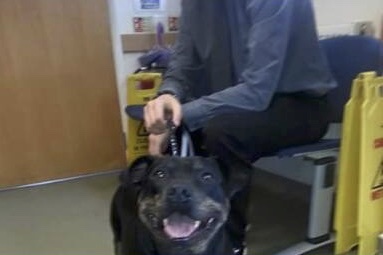 Do you recognise the above Staffordshire Bull Terrier – It was found yesterday (Friday 17th October 2014) by Kellymay Worrall in Brownhills. 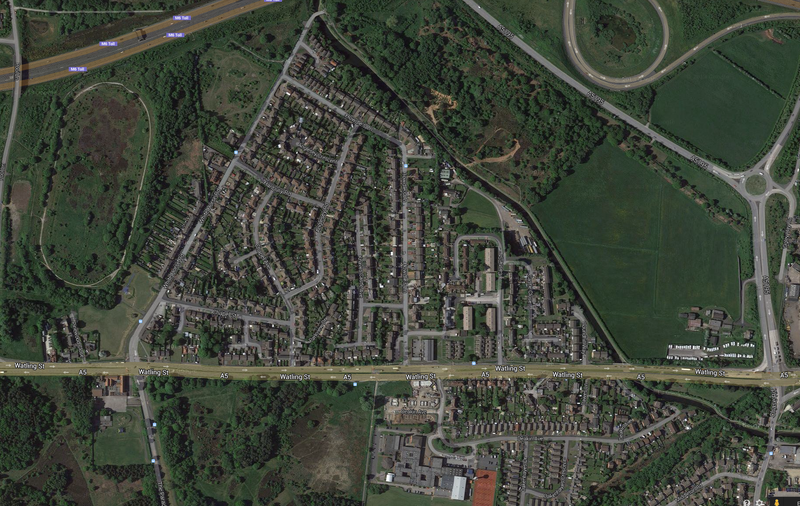 As you may have heard on social media and the local grapevine, there was a house fire in New Road, Brownhills at lunchtime yesterday (13th March 2014). 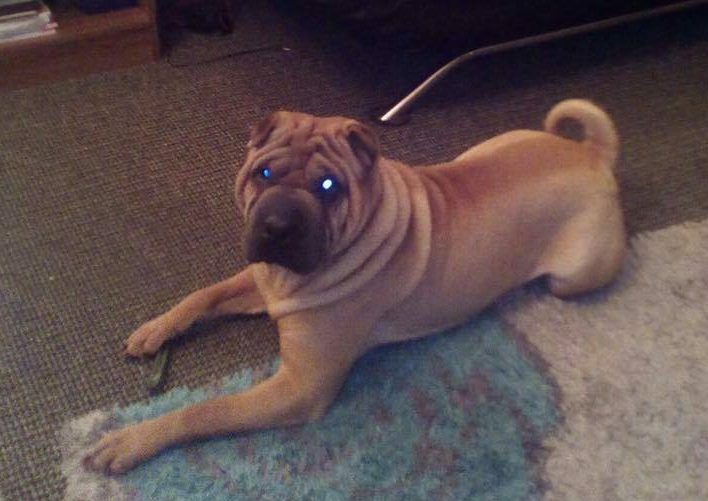 Please help if you can with the sad case of a lost dog – Weston went missing yesterday evening from the new flats in Brownhills by Anchor Bridge, Brownhills. 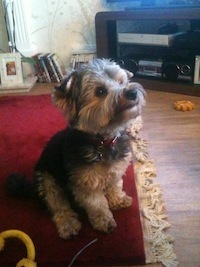 His owners are missing the little chap dreadfully, please keep an eye out. 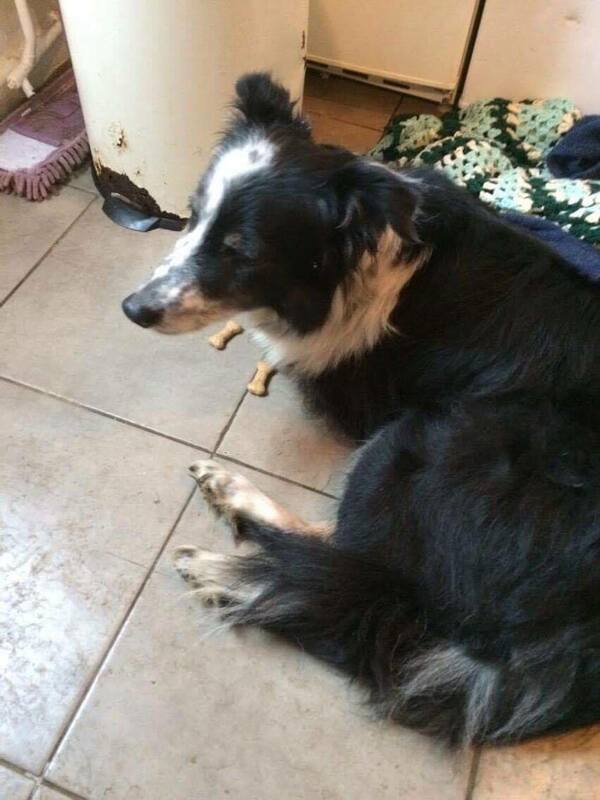 Good news – Cheeco has been found and reunited with his owners – He was picked up by a lady near Watling Street and taken to Sunnyside Kennels, where he was reunited with his family. 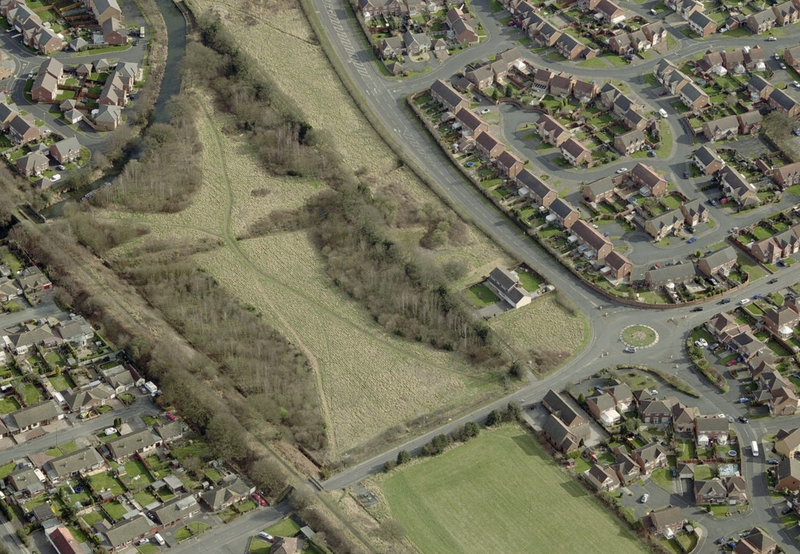 Brownhills lost dog – can you help? 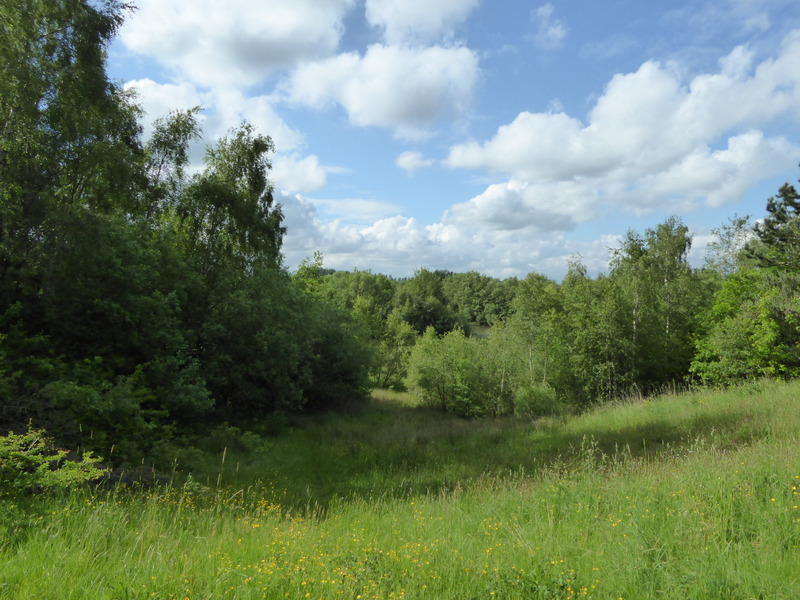 We have an urgent lost dog alert here – Rodney, above, is a rather handsome, affable and approachable spaniel who went missing from the fields at Oak Park off Coppice Road, Walsall Wood, at 10:00am this morning and hasn’t been seen since. 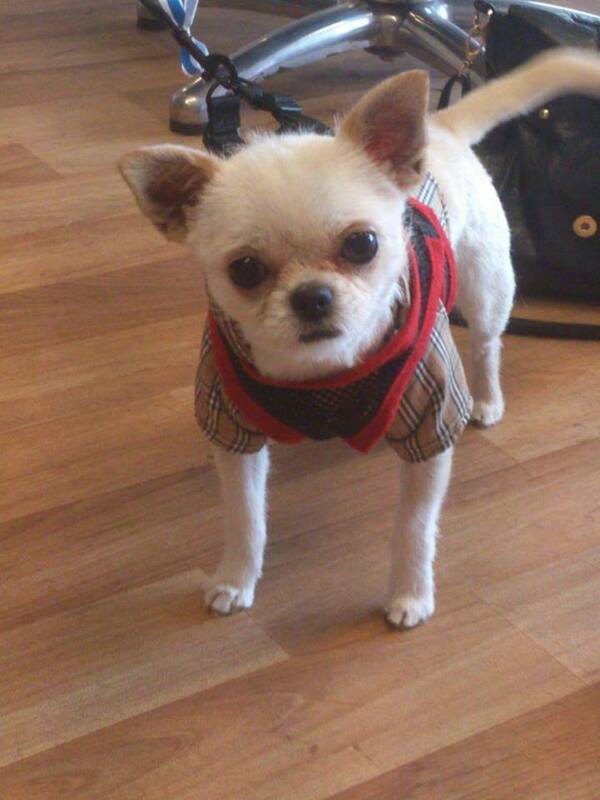 Friend of the blog Julie Le-Moine writes to tell me that her sister is looking for her lost little dog. 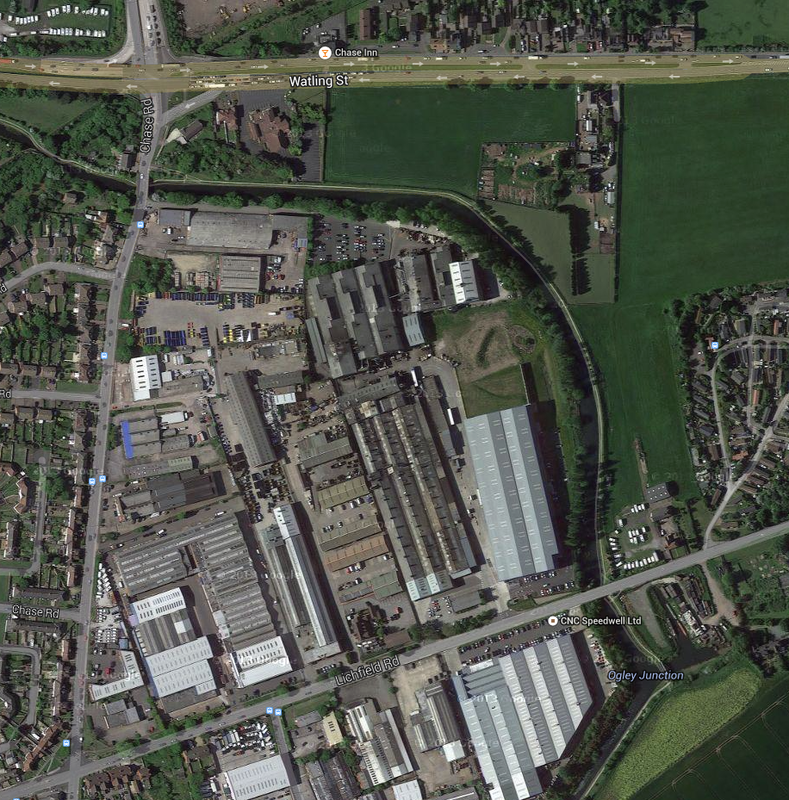 Walsall Wood lost dog – can you help? 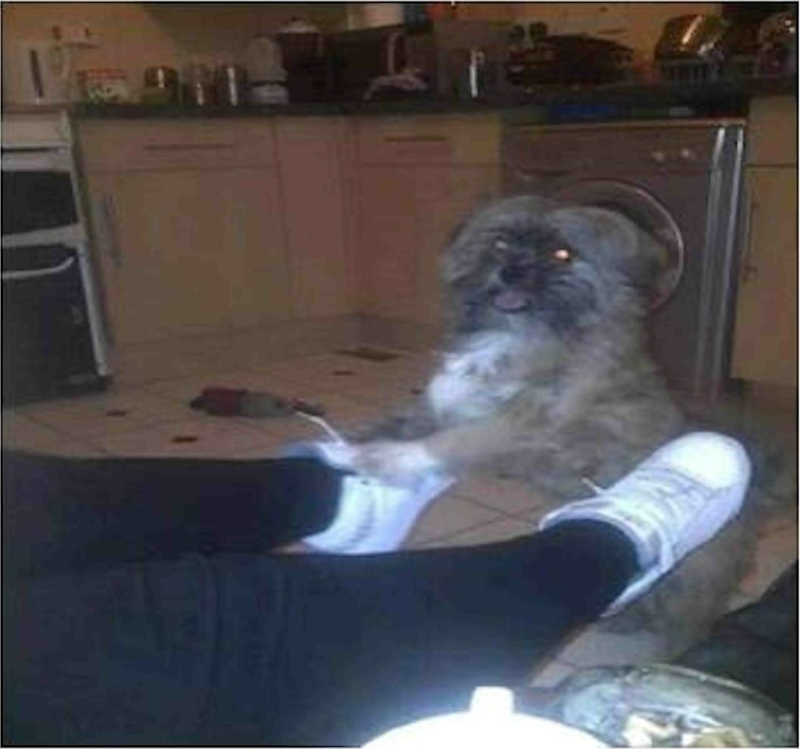 Hi – My daughter lost her little dog yesterday at 6:30pm in Holly Lane, Walsall Wood. Come on folks, can you help, please? 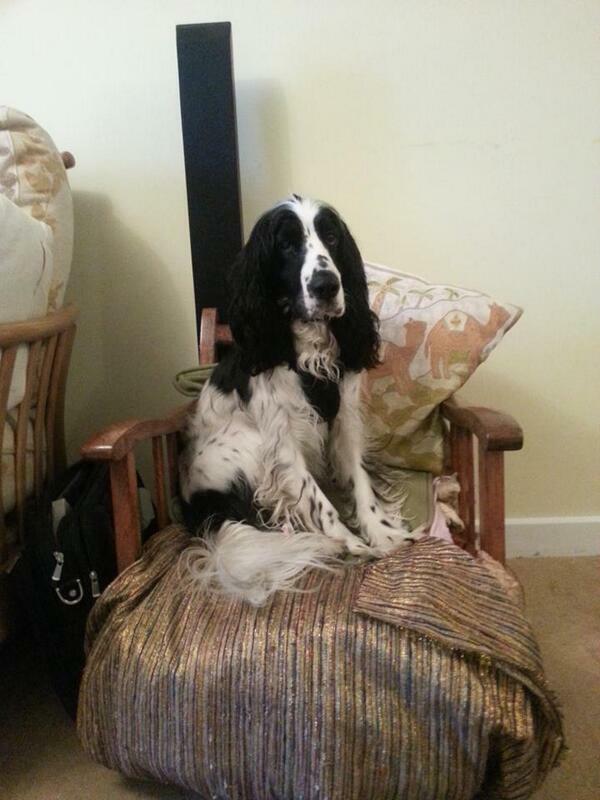 This charming fellow was lost yesterday near Clayhanger Bridge and reported to K9 Search UK. Please keep an eye out.